What is Supported Side Plank Pose? Supported side plank pose, or salamba vasisthasana in Sanskrit, is a modified version of side plank pose. 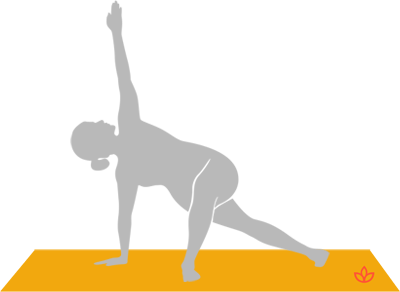 With the top leg bent and foot flat on the floor, the pose is more accessible to those who find it difficult to balance with the feet stacked. This variation still strengthens the legs, core and arms. Bend the left knee and place the foot on the floor about halfway up the body. Inhale and reach the left arm to the sky, opening the chest to the side. Breathe while holding the pose. Change sides.